Suzuki Baleno is a smart design subcompact car produced by the Suzuki now available in Sri lanka. Suzuki Baleno price in Sri lanka Rs 3400000.00. 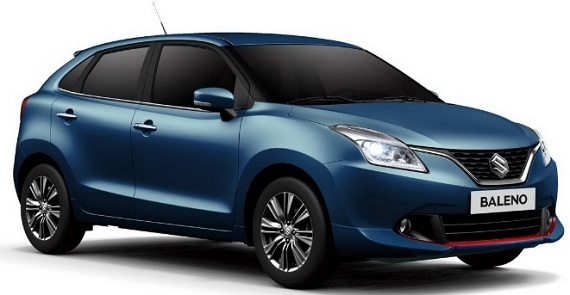 Now Suzuki Baleno is manufactured in India by Maruti Suzuki, as a five door Front engine hatchback. 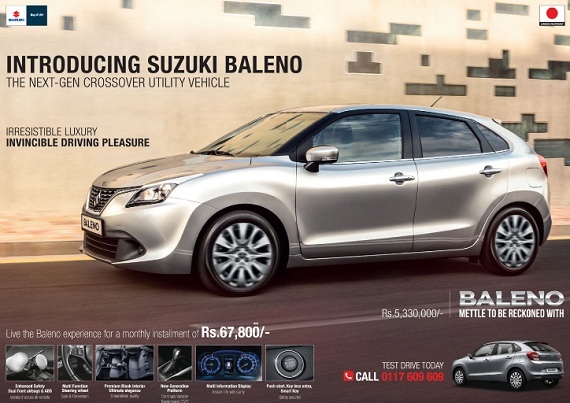 Suzuki Baleno exclusively marketed in Sri lanka by AMW. Suzuki Baleno hatchback comes with premium front grill, UV cut glass that reduces the UV rays, 16 inch alloy wheel set, LED rear combination lamps and chrome finished rear strip. Inside of the car including steering mounted audio and calling controls, large hd multi information display, telescopic steering, dual front air bags and front floor console. Suzuki Baleno provide best fuel efficiency per liter normally 21.4km/l with powerful 1197cc engine.